The 2016 Higher Education Accounting Forum will be held April 10–12 at Disney’s Contemporary Resort in Orlando. This popular event offers the latest information on trends, issues, and best practices in financial accounting and reporting, financial management, and leadership for all types of institutions. The program, designed for advanced-level accounting and finance professionals, features plenary, concurrent, breakout, and roundtable formats. Several facilitated sessions will focus on accounting and management topics—bringing together participants with similar interests to exchange ideas and experiences. This forum serves as both an annual update and future outlook, where participants hear and engage in discussions on timely subjects affecting the higher education community. As part of the NACUBO leadership series, Stephen Young, senior partner at Insight Education Systems, will present the keynote address. In addition, Wendy Libby, president of Stetson University, Deland, Fla., will discuss how to redirect an institution so that it can stand out and compete nationally. Other program topics include financial reporting, tax issues, Washington update, analytics, the next generation of chief business officers and controllers, benchmarks, internal controls, software, and more. There will also be updates from key FASB and GASB staff. Attendees will have ample opportunities to network with colleagues and speakers. To register or for more information, visit www.nacubo.org or call 800.462.4916. 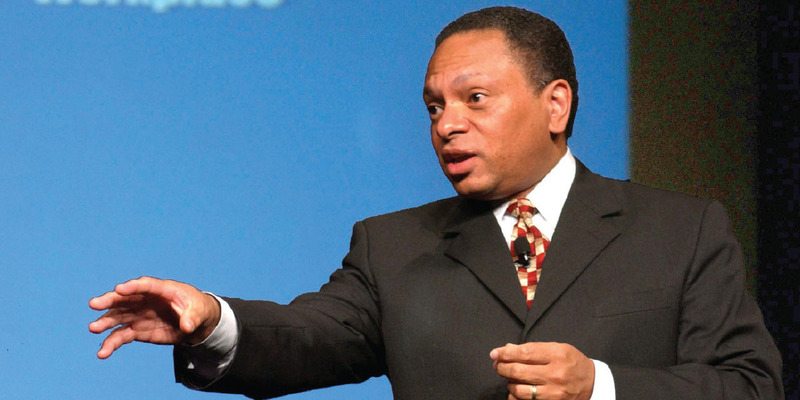 Leadership and human communication expert Stephen Young, who developed the seminar MicroInequities: The Power of Small, will be the keynote speaker at the leadership enhancement series included in NACUBO’s five signature programs in 2016. A senior partner at Insight Education Systems, a management consulting firm specializing in leadership and organizational development services, Young will speak at the Endowment and Debt Management Forum, Student Financial Services Conference, Higher Education Accounting Forum, Planning and Budgeting Forum, and Tax Forum. His acclaimed seminar, The Power of Small, is rooted in the foundation of human communication and based on the complex ways in which we communicate. According to Young, “microinequities” are cumulative, subtle messages that occur when these signals are negative or promote a negative bias. They are typically not one-time events. These subconscious, negative messages and actions affect company productivity and morale. Young will guide attendees through a discussion about the repeated behaviors that devalue, discourage, and impair performance in the workplace. In his book Micromessaging: Why Great Leadership Is Beyond Words (McGraw–Hill Education, 2006), Young discusses how the way you do business with nonverbal gestures can make or break any business relationship. Prior to joining Insight Education Systems, Young was vice president and chief diversity officer at JPMorgan Chase, where he managed the company’s strategic diversity initiatives worldwide. He also served as a staff member at Rutgers University Graduate School of Management. His work has been published and recognized in numerous articles in industry and business publications, including The Wall Street Journal, Time magazine, and Diversity Inc.
NACUBO’s recent webcast, Understanding ED’s New Cash Management Rules, addressed what institutions need to do in order to comply with new regulations from the Department of Education. Institutions that are most affected are those that partner with financial institutions to offer bank accounts to students and those that use a third-party servicer to help disburse credit balance refunds to students. Speakers from NACUBO and Iowa State University ex-plained the new rules, which require schools to establish a selection process for students to choose how they would like to receive refunds; make institutions disclose the contents of their contracts; and ensure that students have access to funds through a surcharge-free ATM network. Attendees also learned that further provisions of the regulations are based on the type of arrangement that a university has with a bank or credit balance refund servicer and that additional rules—such as a ban on nightly cash sweeps and restrictions on including charges for books and supplies in tuition and fees—will apply to all institutions. This webcast is now available on-demand. Registrants will have access to the content for one year from the original air date. For further information, visit the “Distance Learning” page at www.nacubo.org.